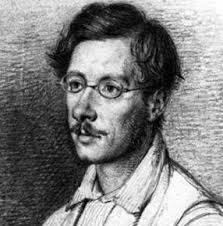 Edward Lear (1812-1888) is probably best known for the limericks and nonsense rhymes of his Book of Nonsense (1846) but he was also an accomplished and well-travelled zoological, botanical and landscape artist. He was the twentieth of twenty-one children born into a middle-class family in what was then the village of Holloway near London. When the family fell on hard times, his parents abandoned him and he was brought up by two older sisters. He showed early talent and soon developed into a serious ornithological draughtsman employed by the Zoological Society and then by the Earl of Derby who kept a private menagerie. He visited Albania, Egypt, Germany, Greece, Italy, India and Sri Lanka among other countries. While travelling he produced large quantities of beautiful and distinctive coloured wash drawings which he converted later in his studio into oil and watercolour paintings as well as prints for his travel books. 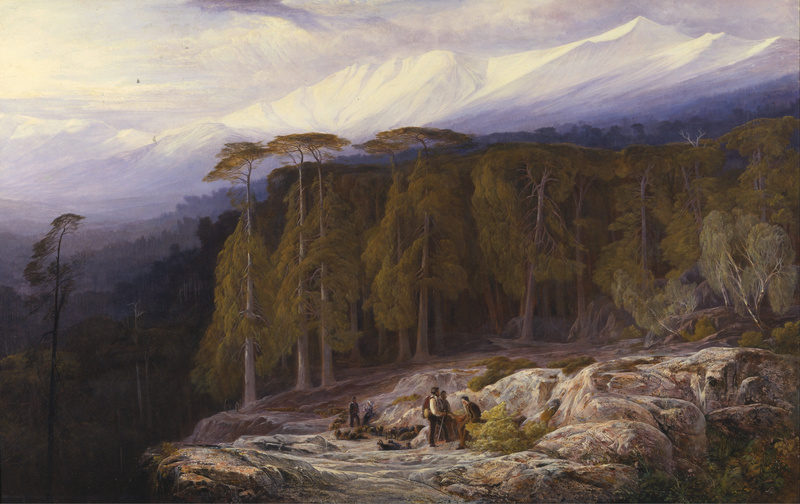 His landscapes are often dramatic views with strong light and dark, intense contrasts of colour and a preference for romantic, jagged mountainscapes. He toured Corsica in 1868 and his striking renderings of the coast near Piana and the Forest of Valdoniello are representative of the work the island’s varied landscape inspired in him. 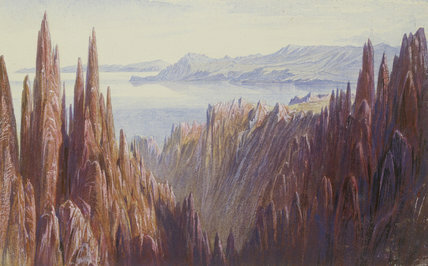 The record of his travels, Journal of a Landscape Painter in Corsica (1870) contributed to making Corsica fashionable among the more adventurous Victorian travellers around a century after James Boswell’s An Account of Corsica had brought the island to the attention of Georgian readers in 1768. Will there be anything worth seeing in Corsica? Is there any romance left in that island? Is there any sublimity or beauty in its scenery? Have I taken too much baggage? Have I not rather taken too little? Am I not an idiot for coming at all? Thus, and in such a groove, did the machinery of thought go on, gradually refusing to move otherwise than by jerky spasms…Are there not Banditti? The position of Corsica, its climate, its fertility, the brilliant qualities of its people, unite to claim attention to this privileged spot. Unhappily, labour has not as yet called forth its natural riches, rivalries are transmitted from father to son for years and the population, idle in the midst of universal progress, seems condemned to a fatal immobility. Economically and socially things have moved on since then, but the distinctive maquis which Lear experienced is still omnipresent. Si sturzo, quidd’avu ‘llu meziornu. A facsimile of the entire Journal of a Landscape Painter in Corsica is available here. This entry was posted in Culture, History and tagged Art, Corsica, Corsican, Edward Lear. Bookmark the permalink. Kevin, thanks for sharing this excellent ‘discovery’, I’m sure Lear would approve.